As you might expect, as web designers, we’re going to be a bit biased when it comes to comparing the value of websites against newspaper adverts. But we’re going to have a go at explaining just why small businesses should focus their marketing budget on the web, rather than on print. This is especially true when there is a very small budget available. Print advertising is notoriously expensive. In a local paper, a tiny advert could cost you the same as a single page website and a full page advert will get you a whole website. In a full page print advert you’re limited to what you can get across. Your company name, what you do, contact details and hopefully a USP or special offer. However, in a full website you could get far more information across, which builds trust and engages the customer. It can save you time by answering basic questions directly and avoiding people who aren’t really potential customers. You could include information about your company background, more detail about a range of services and rates, provide several contact options, display testimonials and even offer free advice to show the potential customer you really know your onions. The main disadvantage of a print ad is its limited lifetime. Most publications are monthly, weekly or even daily. That means that means that time period has passed, that money is lost forever. However, a website is there indefinitely. If it’s designed well, the same website could serve a small business for many years. 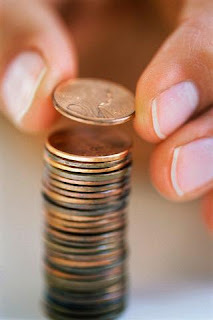 There is a small ongoing hosting cost, that that is usually going to cost about the same as the rent for a phone line. Even if you target your publication very closely (and most people don’t), you can’t be sure that the customers are in the market for your product at that time. And if you just use a local newspaper, the vast majority of the readers will have no interest in your product or service. However, a website appears exactly when people search for it – you can’ get much more targeted than that.